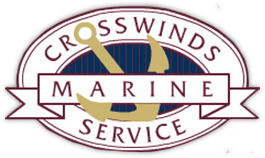 We know that a lot of you like to do the maintenance and repairs on your own boat. We understand the great pride that you get from completing a project and saving some money! Our parts department is here to help you with all that you need to get your projects done correctly. Winter is a great time to get those repairs completed, so that you don’t miss out on any enjoyable time out on the lake. Make sure to store your boat inside with us and you will be able to work on it all winter. We are open all winter long for you to get into the heated storage area and complete all of those tasks that come up each summer. If you are looking to get in early or stay late, give us a call and we will help you in any way that we can.